When Merry Wrath sees a body being carried into her neighbors house in the middle of the night, her past training kicks in, and she suspects spies are in town. She is suffering from a sever case of insomnia. So she is awake most of the night. This is a great addition to the Merry Wrath story. There are spies, a missing woman, and even an appearance from Mr. Fancy Pants, the King Vulture is on loan from the D.C. zoo. And some very quirky people who will become Mary's in-laws. There are well defined characters, lots of laughs, and plenty of stunts from the girl scout troop. I was also happy to see that officer Dooley must have had some remedial training after the last book, as he acted in a much more professional manner. Loved this book! 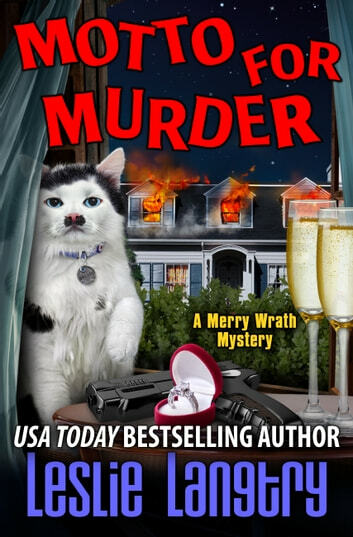 The Merry Wrath series is wacky and wonderful as Merry, a former spy that was burned, ambles through life while seeing murders and spies all around her. Even her boyfriend, Rex, a police detective, thinks she's seeing things that aren't there. But what if she's right? 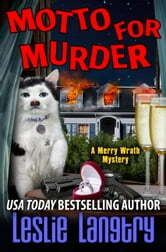 This is a fun novel that is filled with all the humor, and cats, that you would expect in a Merry story. While this is part of a series, this is a stand alone novel, however the series is so good that you really owe it to yourself to read them all. The author is on my must read authors' list.